@redsPL 1. That's really cool! 2. All that music but no tada.wav? @redsPL That track is such a throwback to more than just one thing. @redsPL Well, it works under QEMU at 1024×768 anyway. @lanodan Never tried the switch; It plays chimes on the bootup. @redsPL Oh, I managed to got theses by restarting the Windows session. 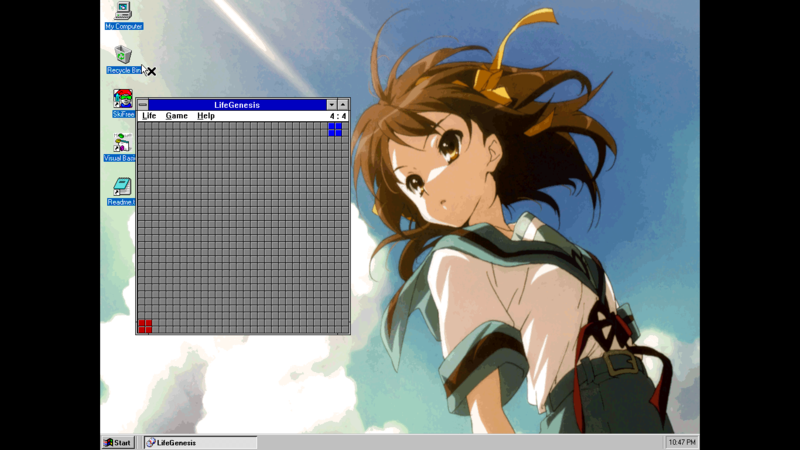 @redsPL This is interesting, but a Start menu in 3.1? @redsPL Ha, wow, this is amazing. Wonder if anyone ever ported LiteStep to 3.1. @redsPL WHAT SORCERY IS THIS. @redsPL That directory listing at the end is such a mood.